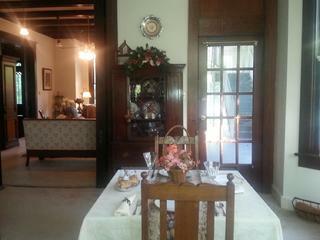 The large dinning room has pretty bay windows and a french door leading to the porch. Pocket doors lead into the warm inviting living room. China, crystal and silverware are provided.